Not many people are even aware that the Tropic of Cancer passes through Aizawl. 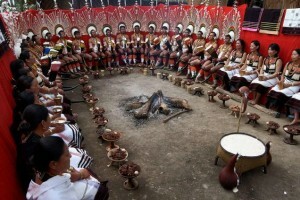 It gives this first city of Mizoram, an exotic twist. Citadel-like stands upon its lofty perch (4000ft) on a ridge overlooking the lush Tiawng River Valley. To its north lie the rugged hills of Durtlang where there’s an interesting zoological garden. Explore the museum, which stocks an interesting collection of costumes, artifacts and historical relics that are an important window to Mizo culture. Shop for traditional crafts and woven textiles such as puan with its intricate weave in many colours, at Bara Bazar, the main market. It also stocks an inventive range of baskets and cane and bamboo items. Aizawl is also a great base to explore the enchanting offerings of the abode of the highlanders. Air: Aizawl, the capital is within reach of Silchar, which is connected by air to Kolkata. Aizawl is connected by air, thrice a week to Kolkata by Alliance Air. Rail:Nearest railhead is Silchar in Assam from 184 km away. Road: NH-54 connects Aizawl with the rest of the country through Silchar. Buses and taxis are available from Silchar to Aizawl (6-8 hours). Night services are also available. 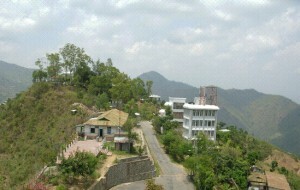 Aizwal is also accessible by road from Shillong and Guwahati. 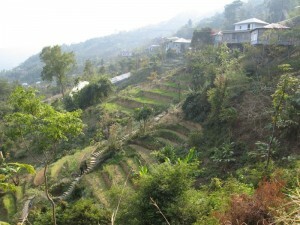 Bun and Paikhai: This place is located close to each other just 16 km from Aizawl. Bun and Paikhai are popular picnic spots. Tamdil (Tame Lake): Tamdil, a natural lake is 85 km from Aizawl. Famed for fish and prawns it is also a popular picnic place where you can go for a boat ride and even opt to take a drive into the nearby jungles, which are home to some wildlife. The resort village of Saituai is just 10 km away. Dampa Wildlife Sanctuary: Just 133 km from Aizawl, the Dampa Sanctuary straddles the borders of Mizoram, Tripura and Bangladesh. Established in 1976, tiger, bison, elephant, bear, and a vast number of avian species inhabit it. Vantawang: Close to Thenzawl hill station lies Mizoram’s highest waterfall Vantawang (750 ft high), located 152 km from Aizawl. It is beautifully located amongst dense bamboo groves and tropical forests. Champhai: It is located from the fertile plains of Champhai, 204 km from Aizawl. You will get stunning views of the Myanmer hills. This entry was posted in Aizawl, Mizoram and tagged aizawl city, aizawl map, aizawl tourism, Bun and Paikhai, Dampa Wildlife Sanctuary, State, Tamdil, Tame Lake. Bookmark the permalink.